Oh, childhood… the most beautiful time in our life, when we are allowed to dream and watch our imagination grow as it perfectly merges with reality. These precious moments when you get to finally meet with one of Disney’s characters that, somehow, take the shape of some of our idols. Be it Mickey Mouse, Cinderella, Peter Pan, or Elsa, we all had a cartoon idol we almost worshiped. These famous figures were always by our side and helped us develop our imagination, enhance our creativity, and boost our memory, mostly thanks to their unlimited wisdom. We all experienced the Disney magic when we were kids, but now, it is the time to make room for the next generation to adventure into this fairyland. A moment that Disneyland Paris overtly awaits. But first Disney had to make sure to provide a memorable experience for the little ones. So, it addressed a cute invitation to let the children know that this wonderful world awaits them with open arms. And how to better attract people to come for visit, if not with another adorable story that will simply melt children’s little hearts. And adults’ too. The company has created the story in such a way that makes the children believe that they are the ones who get to become a part of the modern, cute, tale. 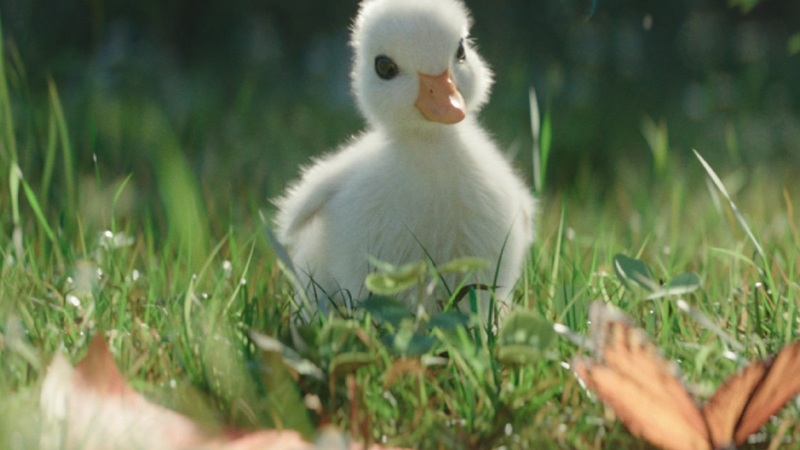 Instead of featuring an actual child in this adventure, Disney introduced an adorable baby duck who worships one of the brand’s famous characters: Donald Duck. Our adorable protagonist stumbles upon a Disney magazine, which features a photo of no other than Donald Duck himself on its cover. The cute baby bird gradually develops a liking for the Disney character: it lives Donald Duck, breathes Donald Duck, and dreams of Donald Duck. In just a matter of days, this magazine becomes its most prized possession. “[…] this film represents an evolution of the brand’s communication, moving towards the sort of universal storytelling that the Disney brand embodies. Epic saga, blending together love, humor, and courage, is aimed at all of those – big and small – who grew up with a Disney idol whom they still wish to meet one day,” says the Paris-based agency. Are you ready to accompany the baby duck on its once-in-a-lifetime adventure? Then hop on and click “play” on the video below. Enjoy the ride!